Does a CSA work for everyone? 2019 CSA Membership Open We have room for a few more families this year. 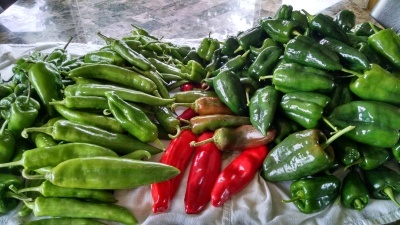 Please visit our website yooperproduce.com and register through the CSA sign-up page. http://yooperproduce.com/csa-sign-up I will give you a call and go over how the process works to make sure it is a good fit for your family. Thank you and look forward to feeding our families! Winter will be gone as fast as it came. Now is the time to plan for Spring! Update on 2017 CSA sales and what we will plant this year. Wrapping up 2017 CSA and farm, with the rain I am already starting to plan for 2018. Before doing that, I want to thank all the wonderful people that came out to the farm this year and participated in our CSA. 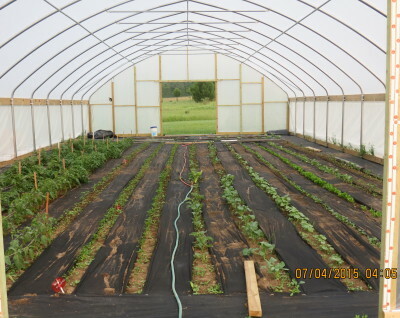 Check out our new take on a community supported agriculture program. Roma Tomatoes Ready to Order!!!! 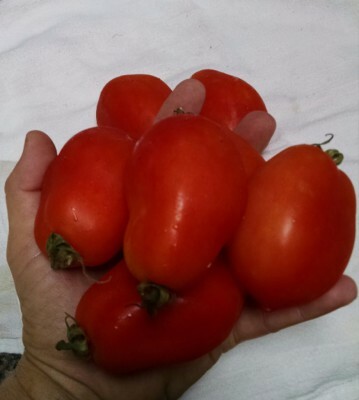 ROMA TOMATOES ARE READY! This year's Roma tomatoes are exceptional. Seven tomatoes to the pound. I took this picture right now. These are the biggest Roma tomatoes I have ever grown. First pick gave 30# and that is only the beginning. I need to find homes for all these. If you are interested I am taking orders for 10 lb bags for $8.00. Please email me at yooperproduce@gmail.com or call (906) 280-5434. If I don't answer please leave a message and I will get back to you as soon as I can.